Men in Boats opens at Onstage in Bedford. Men on Boats premiered in New York City three summers ago, right when Hamilton was getting ready to do the same thing. 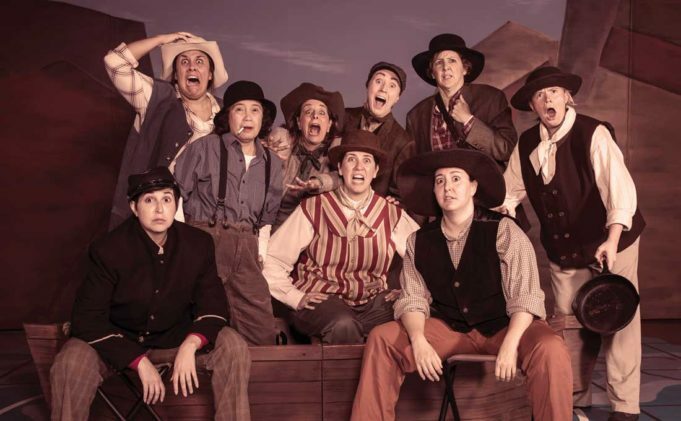 While Lin-Manuel Miranda’s hip-hop musical cast actors of color as our nation’s Founding Fathers, Jaclyn Backhaus’ play used women (and gender-fluid actors) to portray the all-male members of John Wesley Powell’s 1869 expedition down the Colorado River. 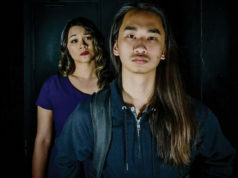 Circle Theatre will stage this play later in the fall, but Onstage in Bedford has beaten them to this particular regional premiere and will open the show this weekend. There’s more in store than just a drag show, though. Between the casting and the anachronistic contemporary dialogue – “I smoke when I’m stressed,” “We have somebody who makes us coffee. This is cushy frontiering” – the play serves to point up how ridiculous codes of masculinity are, both back in the 19th century and today. The men on the Powell expedition think they’re plowing virgin territory (loaded phrase) that the natives have already traversed many times, and they express rigid Victorian morals in our language. 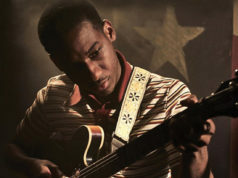 Usually, we have to wait until fall to see a hotly anticipated new play, but you can see one in the doldrums of summer thanks to Onstage in Bedford. Men on Boats runs Aug 17-Sep 2 at Bedford Boys Ranch, 2819 Forest Ridge Dr, Bedford. Tickets are $15-20. Call 817-354-6444.